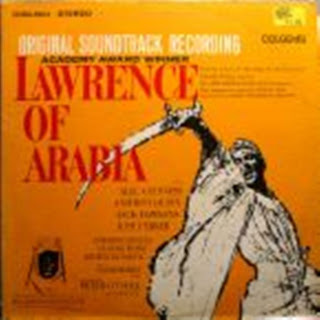 With the uploading of the long-searched-for Lawrence of Arabia soundtrack, I am down to just three albums that I don't have, either via LP or digitally, from the Colgems catalog. I do not have Otley, Southern Star, or Film Festival as of yet. Does anyone have any of these in MP3 format. When I finally get these (and I will, eventually), I will gladly post them. One visitor told me in an email that he will be sending two of the LPs to me, and I hope to have them soon, and I really appreciate the effort he is making to get them to me. But I just want to cover all my bases and get them all! 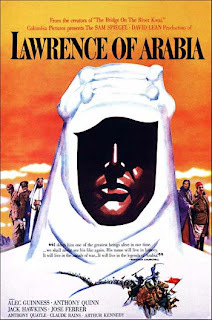 Lawrence of Arabia has an interesting history both on film and on record. The film, starring Peter O'Toole and Sir Alec Guiness, won a number of Oscar awards in 1962, including Best Picture, Best Director, and Best Cinematography, although its three hour and 42 minute length made it, according to some critics of the day, a film that needed substantial editing. On record, the soundtrack to this movie, by the omnipresent Maurice Jarre, was originally released on the Colpix label in 1962, where it reached number two on the charts. When Colpix gave way to Colgems in 1966, the album continued to be available on Colpix, one of the last of the Colpix records that was still available at this time. In 1967, it finally made it to Colgems, albeit with a different cover. It stands as the only original Colpix release ever to have a later Colgems release (for the record, the only three artists to transfer over from Colpix to Colgems were Hoyt Axton and Michael Nesmith and Davy Jones of the Monkees). 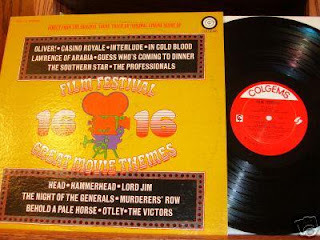 When Colgems went out of business in 1971, the album remained in print on a variety of labels for the next quarter century, give or take a few years. Incredibly, the album is currently out of print in the United States. Enjoy the lushness and grandiose of this epic until April 15, when I will upload another Colgems LP--somewhere, but I don't know where just yet.